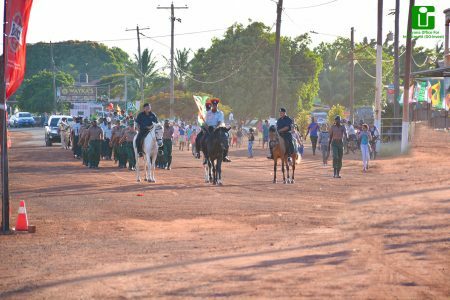 Spain’s Honorary Consul to Guyana, Brian Tiwari was presented with one of that country’s national awards -the Officer’s Cross of the Order of Civil Merit on Tuesday. 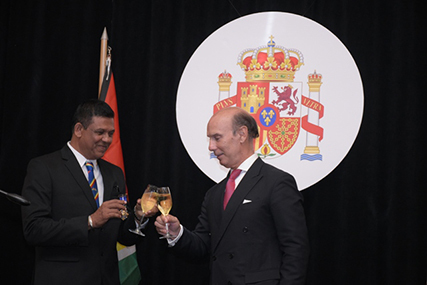 At a reception hosted at the Marriott Hotel, Tiwarie (right) was presented the award by Non-resident Ambassador of Spain to Guyana, Javier Maria Carbajosa Sanchez. It was decreed by King Philip the 6th, in recognition of the qualities and merits possessed. It was officially awarded in Madrid, Spain on December 6th, 2017. According to the Department of Public Information, the Honorary Consul expressed his gratitude towards Spain’s government.